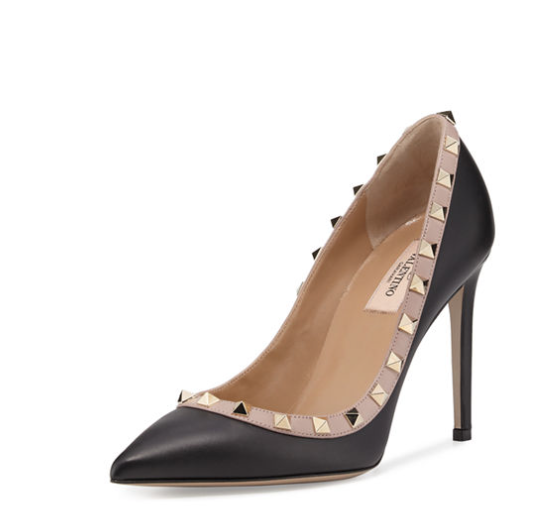 A gorgeous classic pump with rock stud detailing. As seen on Meghan in her second Reitmans Collection promotional materials. Valentino smooth calf leather pump.